NOVEDGE blog: February 1st, 2015: Autodesk Doomsday? February 1st, 2015: Autodesk Doomsday? 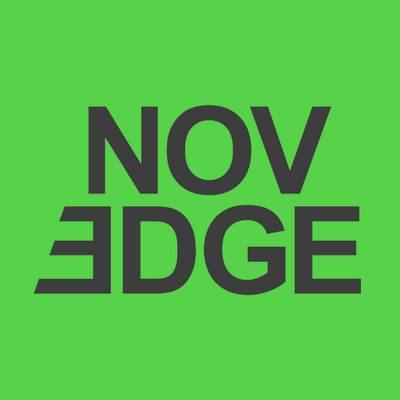 Editor's Note: Scott Hester is the Autodesk Channel Manager at Novedge. He has nearly five years experience in helping clients with all aspects of Autodesk products and services. He can be reached directly at 866-362-8970 ext. 705 or via email at Scott@Novedge.com. If you are a current Autodesk License owner, you’ve no doubt been bombarded with emails carrying dire warnings about the changes that will take place with Autodesk’s Upgrade Policy starting February 1st, 2015. You may even be getting phone calls from local resellers or even Autodesk leading you to believe that the Autodesk sky is falling. Before you completely panic and do something rash, let’s clear up some of the confusion and get to the facts. Will Upgrades Continue to be Available Every Year? Yes, Autodesk will continue to come out with a new release of all PC-based programs every spring (OS-native programs follow later on in the year) and if you are under Maintenance Subscription you will get the Upgrade to the new release, guaranteed. That has not changed and will never change. Furthermore, crossgrades from a current version of a product to a current version of a higher valued product will also still be available. Then What Is Changing About Autodesk Upgrades on February 1st? What will change going forward is that as of February 1st, 2015, Autodesk will no longer offer the option to purchase an upgrade to the latest software release from previous releases. Will My Autodesk License Stop Working After February 1st? No. Even if you are not under Subscription come February 1st or your License is older than 2015, your Autodesk Perpetual Licenses will all continue to function as they always have. They will not stop functioning and your files and work will remain safe. So How Does This Affect Me? You are golden. As long as you continue to renew your Subscription when your expiration date rolls around, you will continue to enjoy all of the benefits an Autodesk Maintenance Subscription including the latest Upgrades and New Releases, access to Autodesk 360 and Cloud Services, Tech Support and Flexible Licensing Rights. You still have time to add a Subscription to a new 2015 seat before January 31st or if your Subscription has expired within 364 days (this applies to 2014 Licenses as well). Alternatively, you could do nothing and your License will continue to function, your files and work will remain safe, but your License will be permanently locked at 2015 with no option to upgrade as of February 1st. You can purchase an Upgrade before January 31st and through October 2nd take advantage of an Autodesk promotion for all Upgrades. Alternatively, you could do nothing and your License will continue to function, your files and work will remain safe, but your License will be permanently locked at its current level with no option to upgrade as of February 1st. There is a very limited time to purchase an Upgrade before October 2nd and take advantage of an Autodesk promotion for these Legacy Licenses. Alternatively, you could do nothing and your License will continue to function, your files and work will remain safe, but your License will be permanently locked at its current level with no option to upgrade as of October 2nd. Needless to say, if you have any questions about any of this or want to discuss your Upgrade options, please don’t hesitate to contact me directly at 866-362-8970 extension 705 or via email at Scott@Novedge.com. And remember, the Autodesk promotion for Upgrades ends on October 2nd.